What others thought about "The Roman Hat Mystery"
A murder in a crowded theater leaves a pack of suspects, but only one clueDespite the dismal Broadway season, Gunplay continues to draw crowds. A gangland spectacle, it's packed to the gills with action, explosions, and gunfire. In fact, Gunplay is so loud that no one notices the killing of Monte Field. In a sold-out theater, Field is found dead partway through the second act, surrounded by empty seats. The police hold the crowd and call for the one man who can untangle this daring murder: Inspector Richard Queen. With the help of his son Ellery, a bibliophile and novelist whose imagination can solve any crime, the Inspector attacks this seemingly impenetrable mystery. Anyone in the theater could have killed the unscrupulous lawyer, and several had the motive. 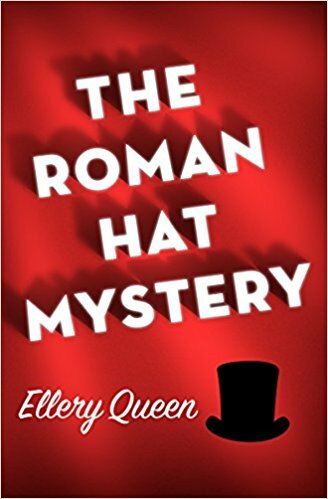 Only Ellery Queen, in his debut novel, can decipher the clue of the dead man's missing top hat.